I would like to thank VInfluencers for the review copy. My review here is totally unbiased and honest. This book is a pleasant walk on a busy road. we really need that walk. To be honest there is no much of story or plot to put here. An usual family drama with tint of romance and loads of love and affection. Abhi is caught between his love Anjali and Deepali,his friend in his American life. He cannot let go anyone that easily as he values both of them. In the midst of this, Abhi is assigned to India to start the company branch. He is excited to be back to India as he could see his father Sundaram. But Anjali refuses to join him as Sundaram is not alone. He has his Vasu forever in his life for a genuine reason which he has not disclosed to anyone yet. Now Abhi has to find a way to get away from this or solve this to have his life back. The relationship hurdles and moments were beautifully put in without any detailing of fight or fun. Just like our day today life. The book title and cover itself is so good. A small act of kindness is all we need in our life which will be exactly the same feel as like a drizzle in the desert. Author had touched the sensitive topic of affair but handled so maturely. That mature act was seen almost in all pages. These days we don’t see many family drama novels on the store. May be the story could be simple but at times these books ease up our mood easily. This book was fast paced too. It could be finished in one sit. The language was straightforward yet I felt that the conversation part could have been deep. I at times felt the emotions were missing or not effectively described( especially on Sundaram pages). The emotions were let off easily where it was much needed to be described. But every character had equal preferences. Karthik was an absolute charm. 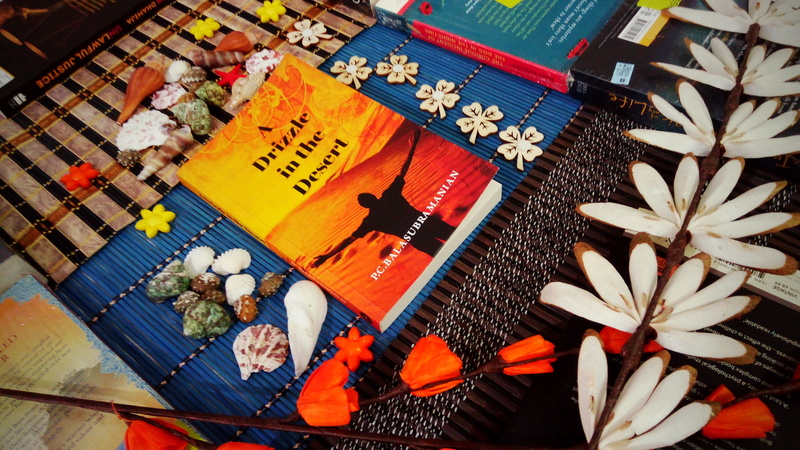 Overall ” A Drizzle In The Desert” is a beautiful family entertainer to get you immersed and involved with all kinds of family emotions and relationships. Bala has authored three books so out of which two were as lead author. The titles are Rajini’s Punchtantra, Grand Brand Rajini – both these books deal with business and brand management with Rajinikanth in the backdrop and Rajini’s Punchtantra is a national best seller. His passion to tell a story resulted in his first fiction titled ‘Ready Steady Exit’, a book packed with humour, romance, nuances of a start-up entity and suspense.